The Book of Acts begins with a powerful intersection of mission, community, and the Holy Spirit. What happened as a result of this intersection is still resonating throughout the world. The point of this intersection was so powerful that history has been shaped as a result of it. The church has tried to recapture this moment ever since. Again and again the church finds both inspiration and frustration when opening the first chapters of Acts and hearing how God moved. Frustration because they don’t know how to recreate this experience no matter how hard they try. Inspiration because there is a flickering hope that someday they will experience this same power. We walk away from this story with deep conviction that this is the God we serve. In these opening chapters, we find a people living lives filled with depth, perspective, and purpose. You don’t sense that these people are struggling with their purpose, identity, or who God is. Instead, they seem to have a clear trajectory, a passion for all they do, and a deepening understanding of their Creator. This is not to say that they are perfect or that they don’t struggle, but overall there is a clarity in their lives that is enviable. Last year, during my return flight from an intensive at Fuller Seminary, I opened up the book of Acts. As I reread this book, I felt like I was reading it for the first time. I saw the book in a fresh way, as if through with a new lens. The story of Acts begins with a mission that could only be accomplished by a deep community empowered with the Holy Spirit. The mission is too grand to accomplish any other way. Before cell phones, planes, powerboats, and the internet, they are called to be witnesses to the ends of the earth?! The compelling thing about the first chapters of Acts is not that you see mission, community, or the coming of the Holy Spirit alone. The thing that is so compelling about Acts, the thing that keeps me up at night, the thing that we all wish we could capture, is the intersection of these three dynamics in a unique way at this point in history. 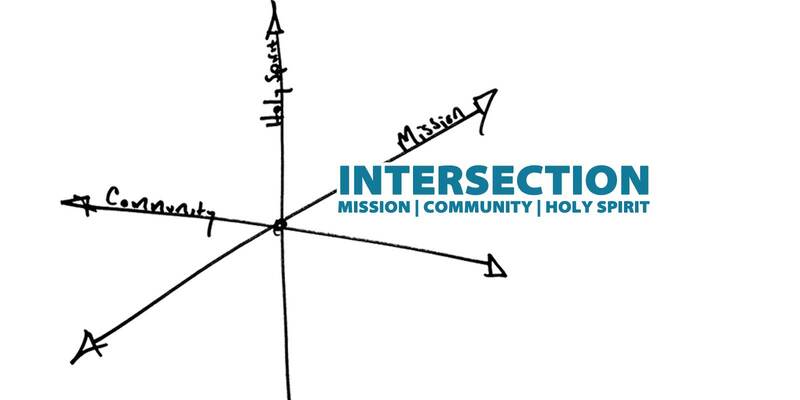 The components of mission, community, and Holy Spirit seemed to jump off the page and the importance of their interconnection became abundantly clear. The power of the early church didn’t come from focusing on one component, which is what the church today often does, but instead it came from living in the intersection of these three components. In this series of posts I want to unpack this idea a little further and help us see how living in this point of intersection helps give us depth, purpose, and perspective.